Vice Admiral Ajit Kumar P, PVSM, AVSM, VSM took over as the Flag Officer Commanding-in-Chief of the Western Naval Command on 31 January 2019 at Mumbai. He succeeds Vice Admiral Girish Luthra, who retires upon superannuation, after a career spanning nearly four decades in the Indian Navy. 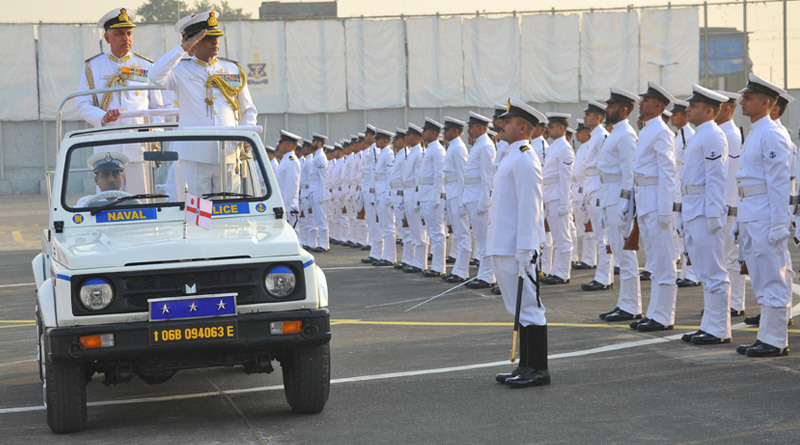 At an impressive ceremonial parade at the Naval Air Station Shikra, the outgoing and incoming Commander-in-Chiefs were accorded a guard of honour after which they proceeded to the headquarters of the Western Naval Command for a formal handing-taking over. On completion, Vice Admiral Luthra was “pulled out” in true naval tradition. An alumnus of Sainik School Kazhakootam and the National Defence Academy, Vice Admiral Kumar was commissioned in the Indian Navy on 1 July 1981. As a specialist in missiles and gunnery, the Flag Officer has served onboard frontline warships of the Indian Navy and abroad. Vice Admiral Ajit Kumar P has also been the Flag Officer Commanding of the Eastern Fleet, Commanding Officer of Gunnery and Missiles Training School – INS Dronacharya, served as assistant chief of personnel (Human Resources Development) at IHQ MoD (Navy) and Chief of Staff of Southern Naval Command. He was the Vice Chief of Naval Staff at Naval Headquarters, New Delhi in his last appointment prior to assuming charge as the Flag Officer Commanding in Chief, Western Naval Command. 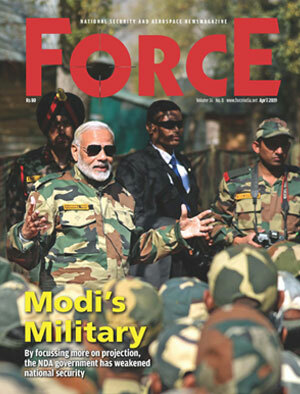 In recognition of his service, he has been awarded the Vishisht Seva Medal in 2006, the Ati Vishisht Seva Medal in 2014 and Param Vishist Seva Medal in 2019 by the president of India.